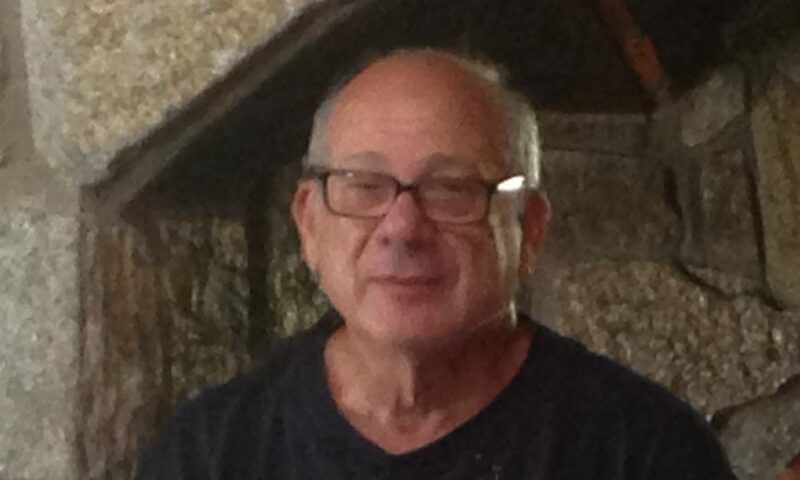 Today we’d like to introduce you to David Holzman. David, please kick things off for us by telling us about yourself and your journey so far. I grew up in NYC in the late sixties and early seventies. I was in love with museums. I used to cut high school and run around Manhattan looking at art. The seventies were spent dropping out of colleges(plural), working odd jobs and making art. Finally getting my BFA in 1980, I spent a year teaching before grad school. I got my MFA from the School of the Art Institute in 1983. Chicago was important for me for many reasons. 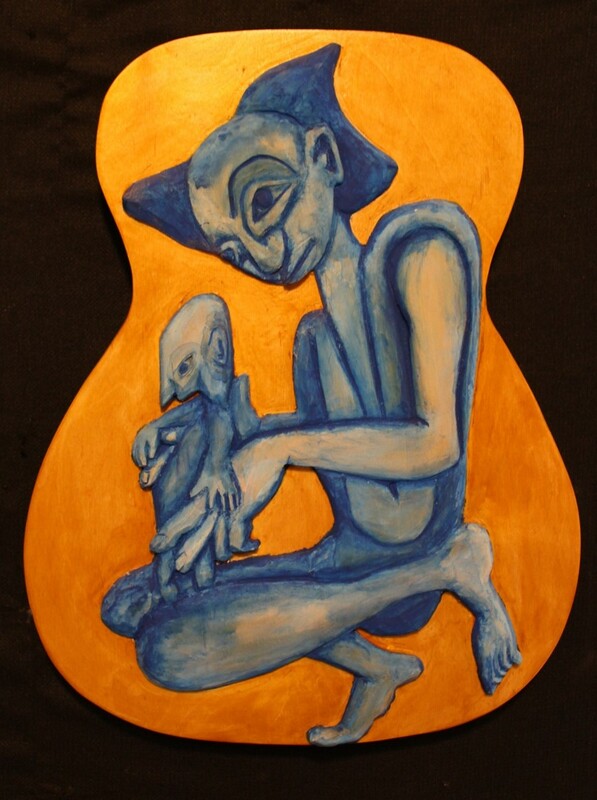 One was the history of the Hairy Who and the other was my discovery of black folk art. After Chicago, I spent two years at the Dayton (Ohio) Art Institute as an artist-in-residence, revitalizing their printmaking program. After that, I went back east to CT and I have taught in the Simsbury public schools and Central CT State U ever since. My focus has been on my own work for the past 48 years. 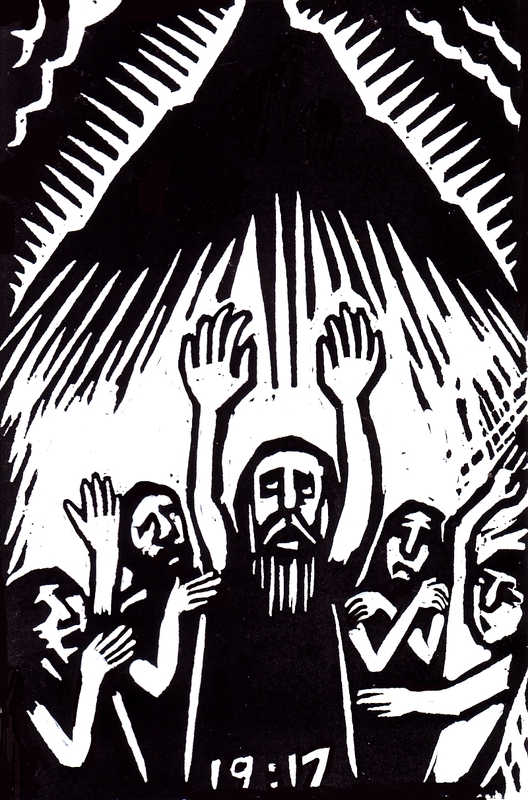 I started as a printmaker, devoted to the woodcut novel tradition, exemplified by Frans Masereel. 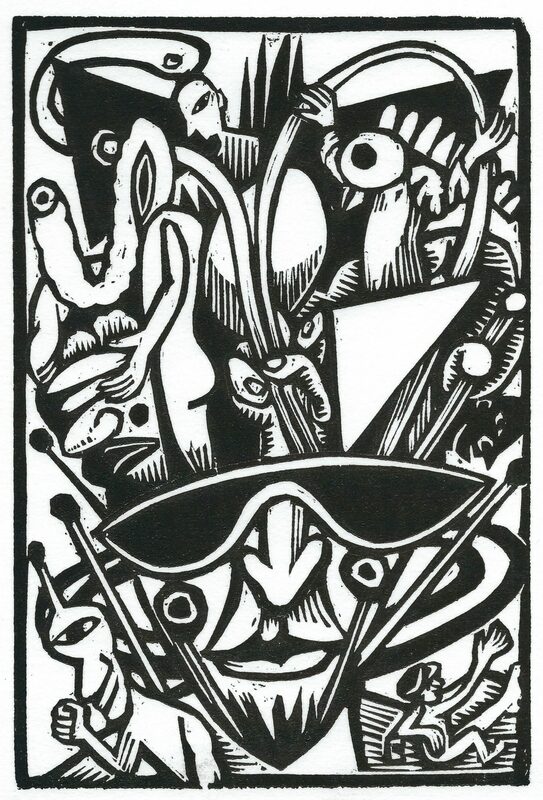 In 1989, Art Spiegelman published one of my books in Raw. 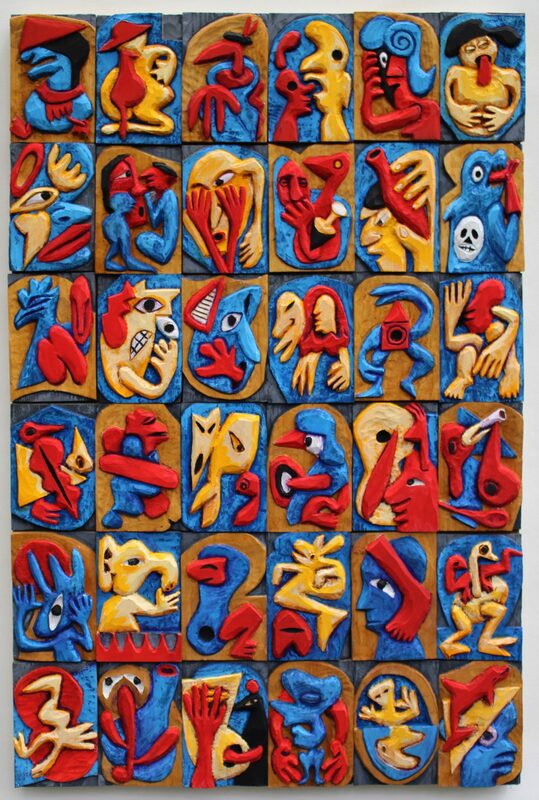 In 1990, I began to make carved wood relief sculptures. 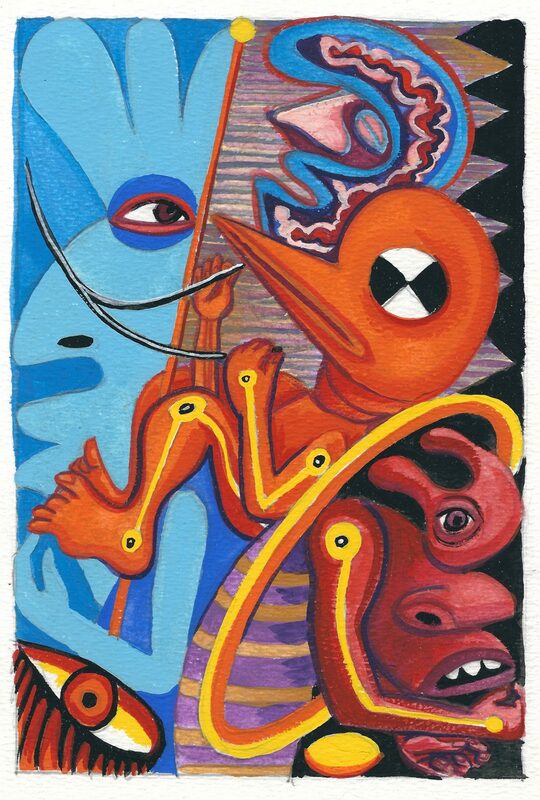 I continued making woodcut novels up to 2011 when I began “The Book of Umm,” a series of small watercolor/gouache paintings based on an automatic drawing. At this time there are 1340 Umm pictures. 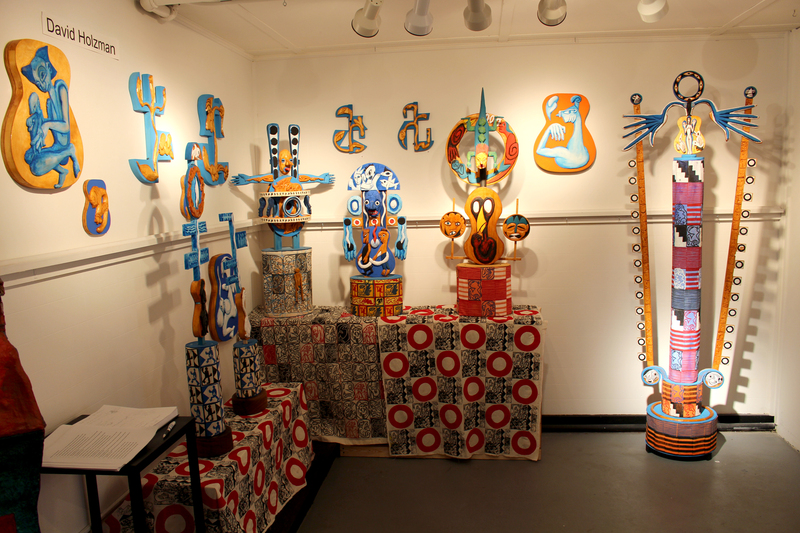 I expand on their imagery through sculpture, paintings, prints, block printed fabric, and carving. I have four grown children. 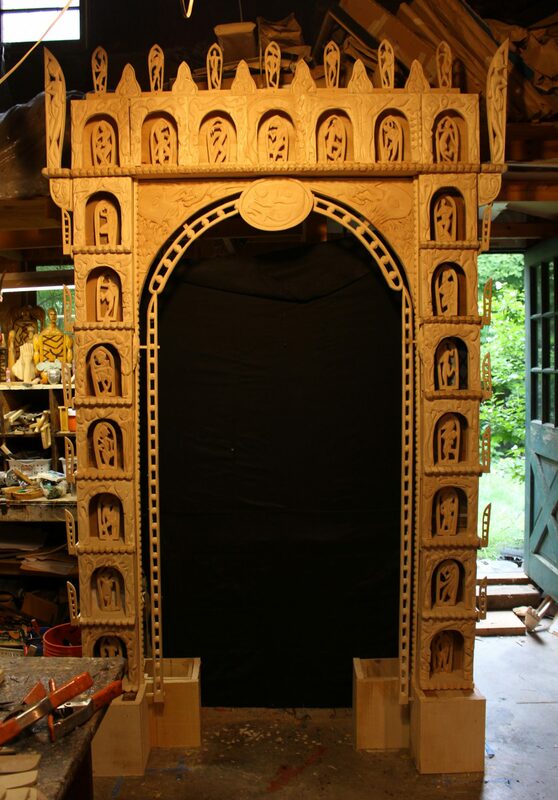 My work consists of carved wood relief, sculpture, prints, block printed fabric and paintings, especially small watercolor/gouache paintings called “Umms.” I am involved now in a project called “The Arch made of Arches,” a 9′ x 5′ x 2′ archway covered in carving. My ongoing project since 2011 is the Book of Umm. In it, I explore the traditional surrealist technique of automatic drawing. The 1340 images I’ve created in the Umm series so far I consider to be raw material for further artwork in other mediums. This work is a daily meditation. I usually can produce three paintings a week. The gratifying thing is I have begun to feel a tremendous energy coming back to me from my work. I believe my work is about one man’s interpretation of the possibilities of spontaneous imagination. I am a devotee of improvisation. Musical analogies are jazz and improvisational rock and roll. I believe a picture can be like a battery- if you, the artist, engineers “it” right the viewer gets energy from looking at your picture. That’s good! The images are absurd but there are a lot of them. 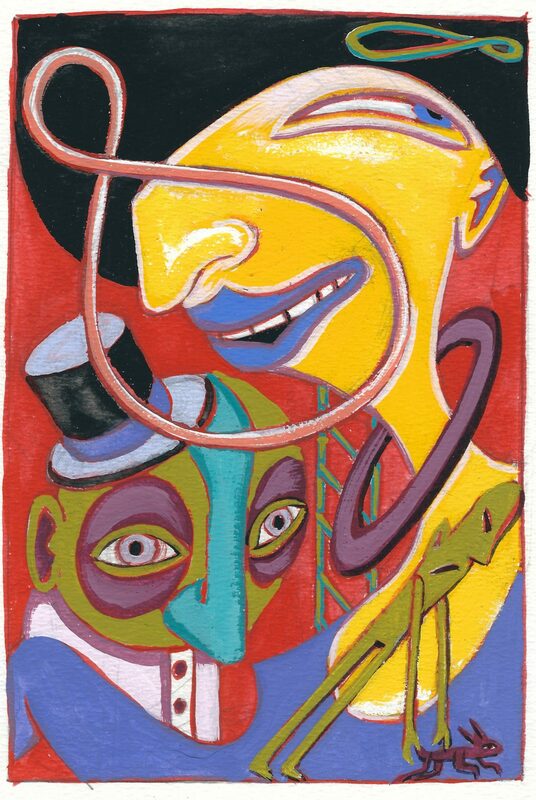 I feel a debt of gratitude to the “ancestors” who showed me the way- German Expressionists, Kandinsky, Klee, Torres-Garcia and Xul Solar. The indigenous masters of Africa, South America, and the Pacific Northwest. I am their humble student. My response to this is to cite the history of Da-Da and Surrealism during WW1 and the arts during the Weimar Republic in 1920’s Germany. Our era is like that. The diversity of the arts today is happening against a backdrop of ever increasing insanity. You don’t even know if the person you are speaking to is a believer in crazy conspiracies. Some artists are much more out-front about their political messages than I am. I applaud the street artists, the poster artists, and the muralists! For me, it is enough to present my absurd pictures, done in the face of a current of ridiculousness. The role of the artist can be a lot of things. I always admired the way anonymous artists in indigenous cultures made objects that were held by the community to be important. Not a thing of monetary value, these traditional objects were often destroyed or abandoned after their use was finished. We have nothing like that except for Burning Man and the ephemera of protests. As a teacher, I always believed that the art teacher could be like a shaman for his/her school. I still believe it. Our society needs shamans only it doesn’t know it. Our shamans are not the big earners – they’re the quiet ones who make magic intimately, one viewer at a time. I often show at the Underground Gallery in Collinsville, CT. I am interested in forming a printmaking subscription club where participants can receive new prints on a quarterly basis. I am also planning a workshop that would permit me to train young people in carving, mural painting, and printmaking. This would facilitate the completion of larger projects than what I can accomplish on my own. We have always enjoyed your work and your passion for life! I had the great fortune of being a student of this kind man who is so passionate about art, a very long time ago. I will always be grateful for the positive and determined creative energy in his classes. I still quote him sometimes!